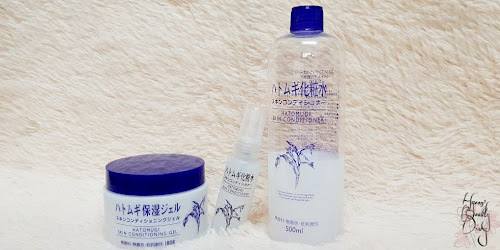 [Monthly Project] #18 Tried and Tested : Reapplying sunscreen, is it possible? #18 Tried and Tested : Reapplying sunscreen, is it possible? 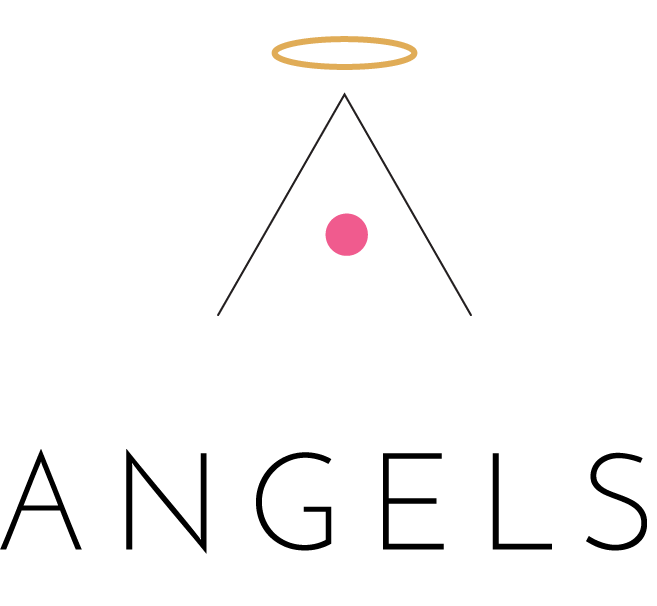 I am intended to make this blog post a simple and sweet one, so I am going to jump right into the content asap. 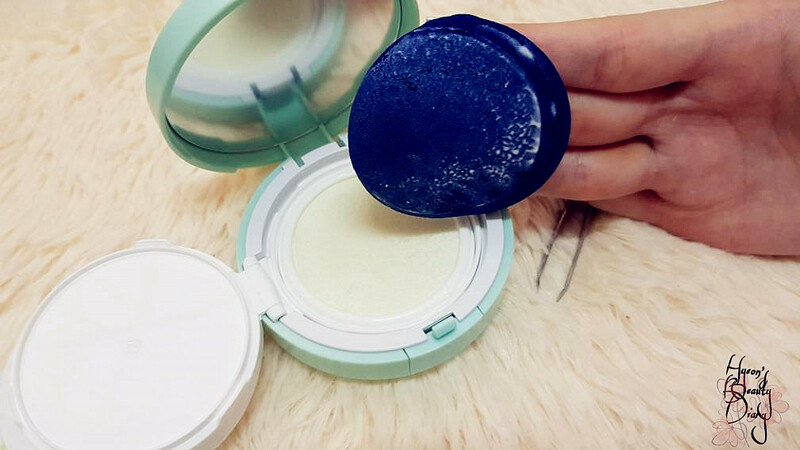 Find out whether DIY sunscreen cushion is a HIT or MISS. 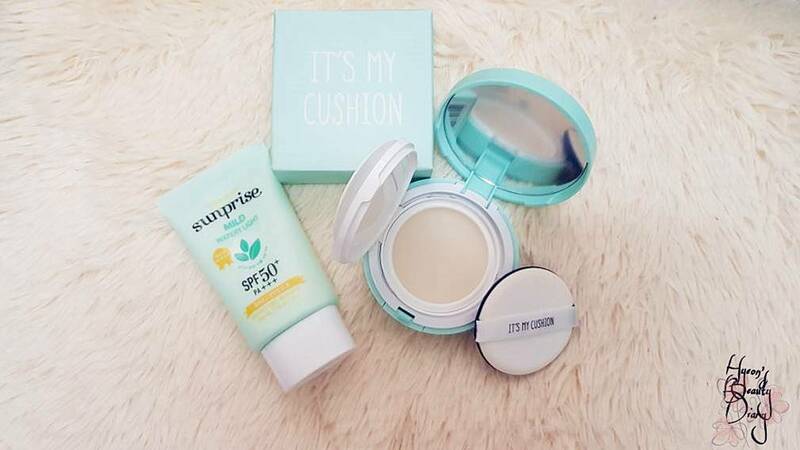 In the original DIY tutorial demonstrated by Renée, she uses two items only: It’s My's Cushion Case and Etude House's Sunprise Mild Watery Light SPF 50 PA+++. 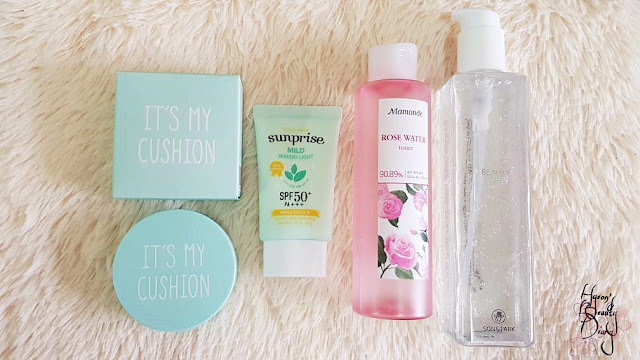 So I did modify a bit here, by adding the moisturizing emulsion/gel - SON&PARK's Beauty Gel (to give an extra touch of moisture) and fragrance - Mamonde's Rose Water Toner (for it's rosy scent). 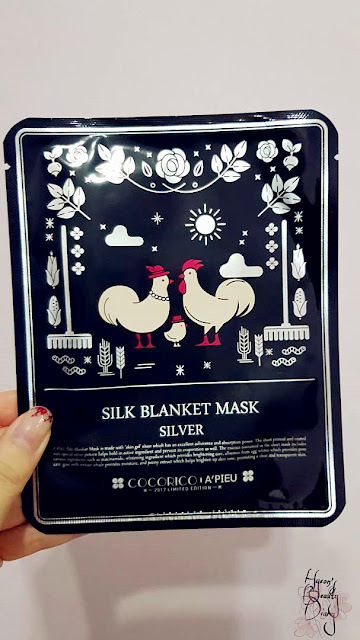 I will leave the price list at the end of this post. If you're intended to purchase, this is just for your reference. Step ① Remove the cushion from the container. This step is quite self-explanatory. Pretty straightforward. Hygiene per say, do recommended to use a tool (i.e. tweezers) rather than bare hands. Make sure the tool is clean. Step ② Fill in the sunscreen into the container for about 1/3 (generously!!!). I do agree with Renée's selection of sunscreen. Etude House's Sunprise Mild Watery Light SPF 50 PA+++ is definitely a great choice because of it's thin/light formula, 100% mineral-based sunscreen; besides, it leaves no white cast. Nonetheless, I was quite reserved at this point as I didn't pour as much as 1/3 of the container at the first-attempt. After then I realized I wasn't following closely to Renée's DIY tutorial. That's why. So I ended up adding more into it afterwards. Peeps, do take note!!! Fill in at least 1/3 of the container. Step ③ Add 1-2 full pumps of moisturizing emulsion/gel (optional). In fact, this step was not included in the original DIY. 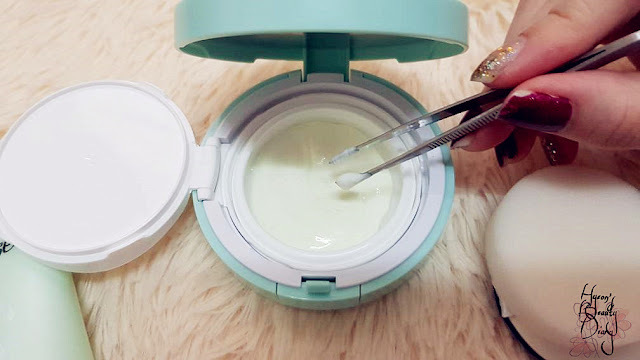 I added a few pumps of moisturizing emulsion with the intention of replenishing moisture to the skin during reapplying sunscreen. Often my skin appears flaky throughout the day, especially during hot and humid days. 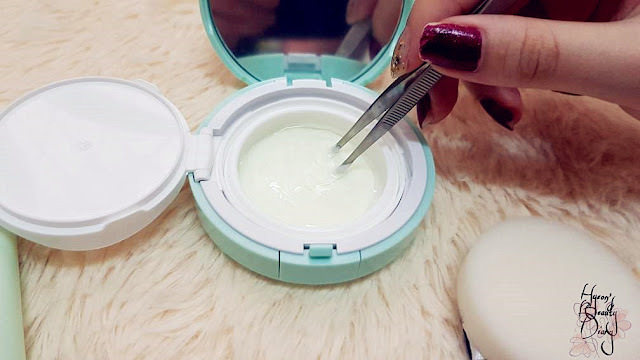 SON&PARK's Beauty Gel has the cooling and moisturizing potential at the same time, so that's why I incorporated this product into this DIY. It's absolutely optional, depending on your preference. Step ④ Add a few drops of fragrance (optional). 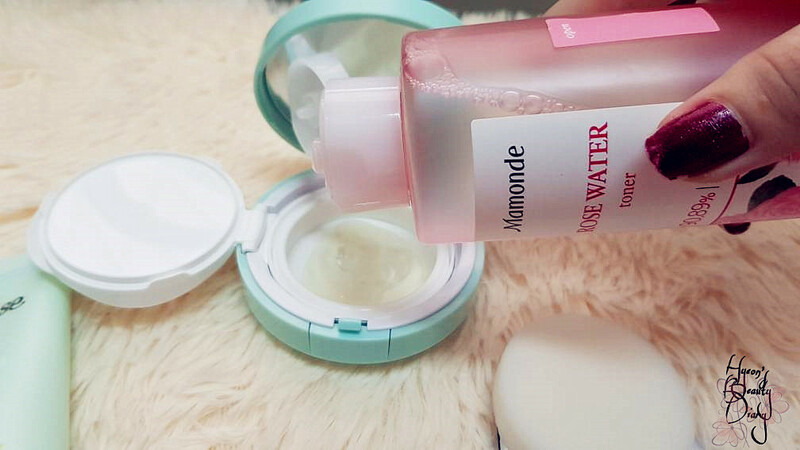 In spite I often commented that I hate artificial laboratory kind-of fragrance, I really adore the rosy sweet scent from Mamonde's Rose Water Toner. The relaxing rosy scent helps sooth tiredness. Just a few drops will do, not too much until the formula becomes watery. Step ⑤ Give it a good mix. 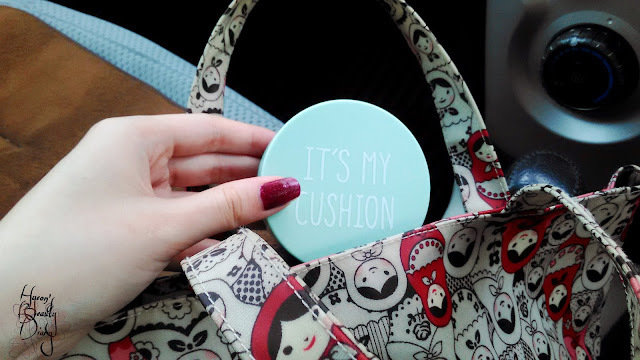 Step ⑥ Put back the cushion into container. Let's give it a try and see if it delivers what it claims. 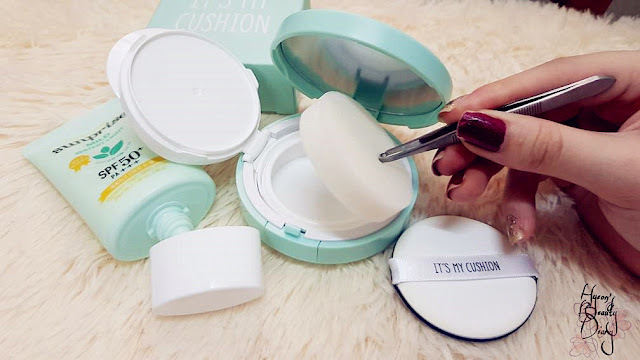 From the look at the cushion puff, I can already tell that it is super moisturizing! 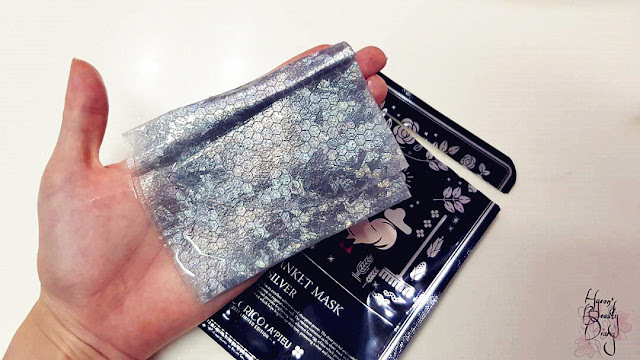 Can't wait to try on my skin! 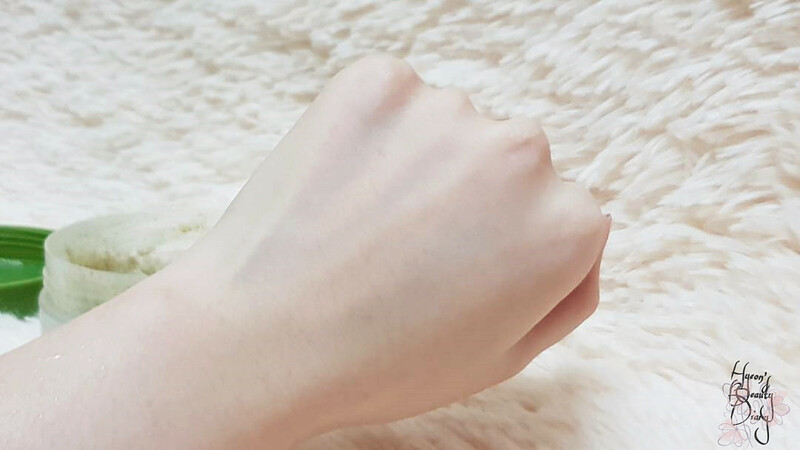 As you can see (below) at the back of my hand, it leaves water marks on top of the skin where I just applied the DIY sunscreen cushion. 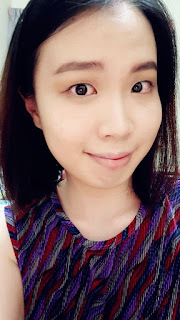 And as I am sharing with you now, this is an experience talk from what I have observed throughout the testing period. 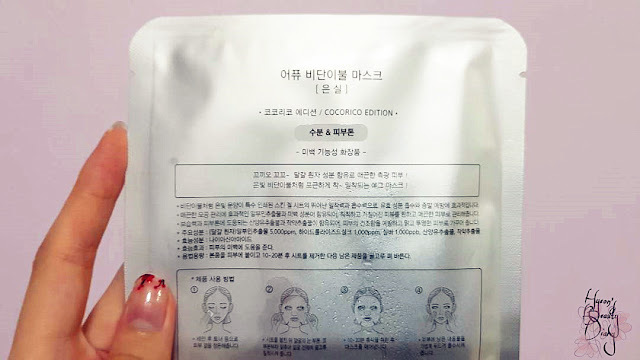 No doubt, the modified sunscreen cushion viscosity was watery and it feels like nothing of the original sunscreen texture while reapplying on the skin. 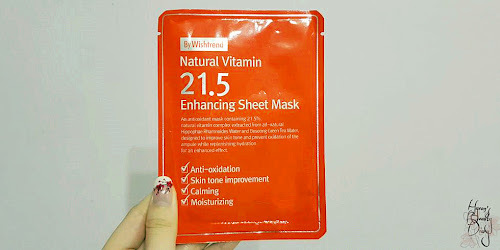 I do enjoy the cooling effect from it, but I'm not too sure am I getting the same sun-protection as I reapplying it. Hence, I added more sunscreen into the container to balance out the watery viscosity earlier. 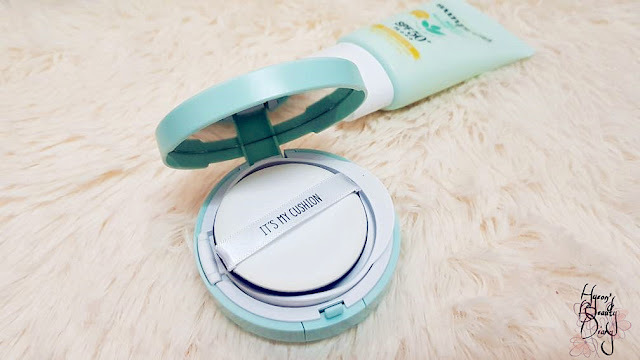 Now I carry this sunscreen cushion around in my bag and I can reapply sunscreen whenever needed, on top of my makeup. 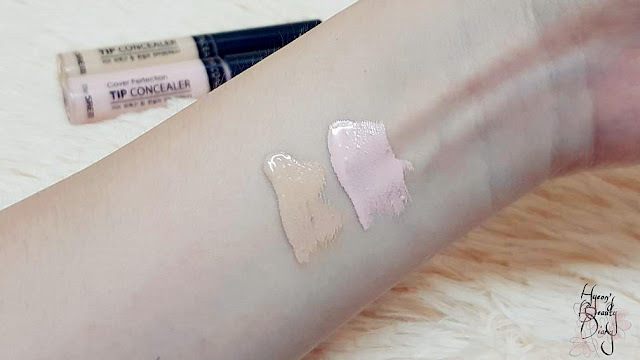 Finally I am going to sit down and breakdown with you my all-time favourite concealer series from The Saem. 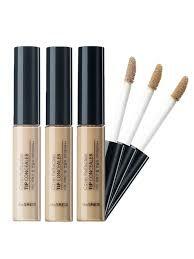 In fact, I am more of a "concealer person" than a "foundation person". 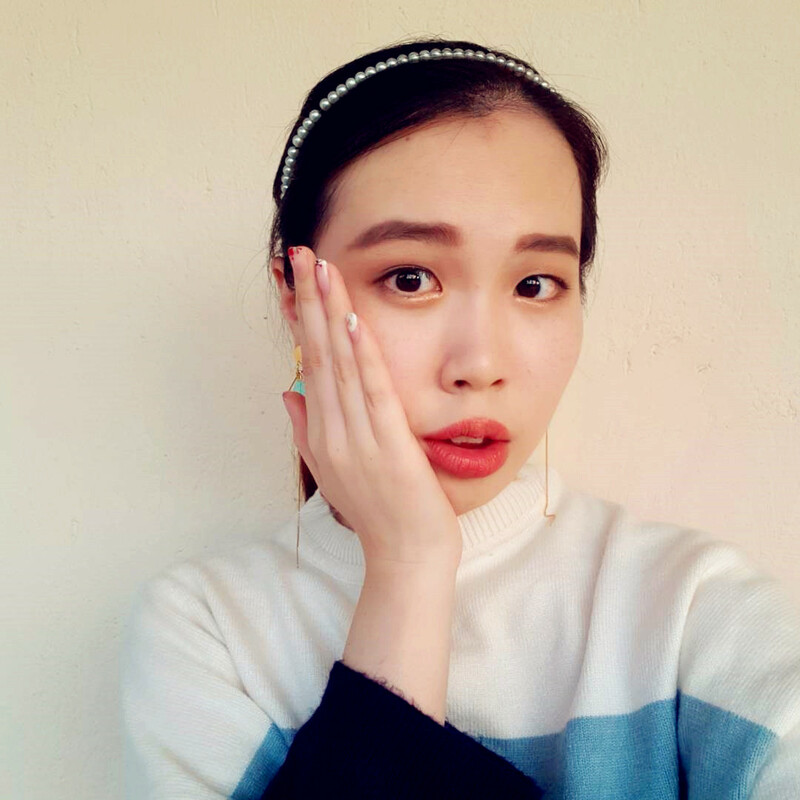 Especially when you want to achieve a light and fresh makeup-look. Speaking of its packaging, the concealers are filled in sturdy transparent plastic containers with black caps. As for the tip concealers, the applicator is attached to the cap (as below). The tip is slightly slanted for easy application. 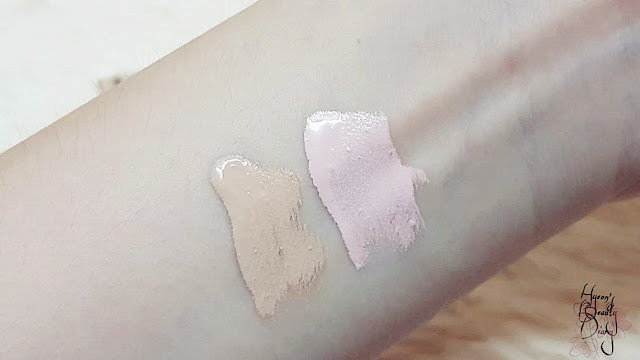 Now I am going to show you the swatches for the liquid concealers. From the close-up shot below, you can tell the texture is not too watery - just the creamy nice texture for easy blending. Notice the pink brightener, isn't the color dreamy? 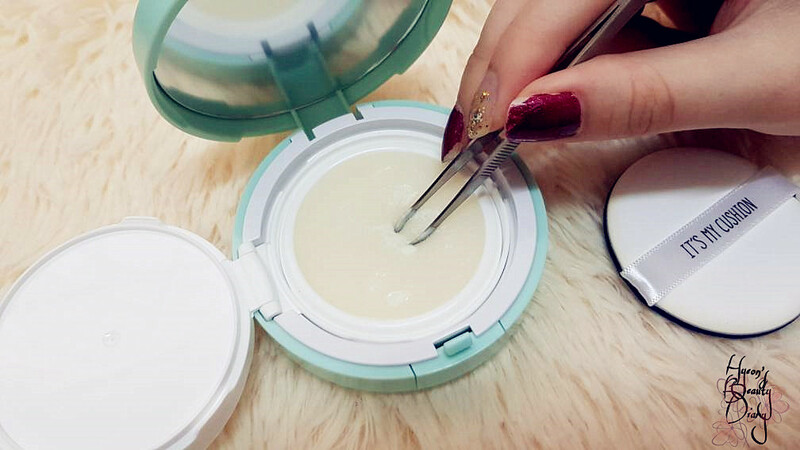 Moving to the pot concealer, the texture is thicker and drier compared to the previous. In return, it has higher coverage. For liquid concealer, what I usually do is to apply it directly on targeted spots (i.e. 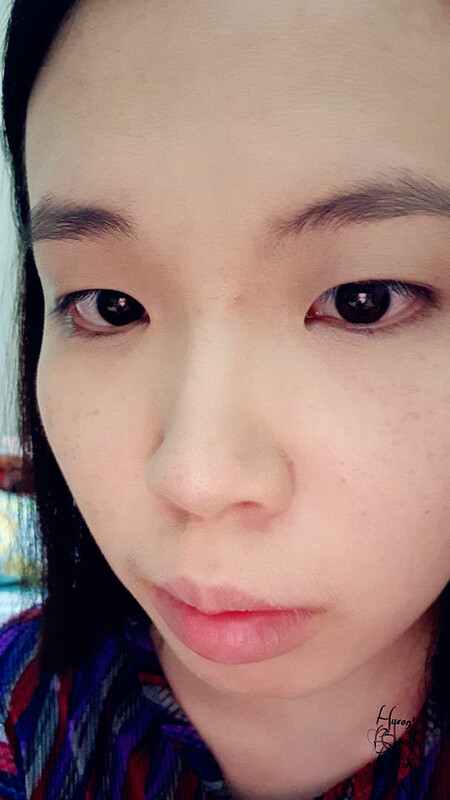 blemishes, acne scars, redness around my nose). Then take your blending sponge. Make sure you dampen it nicely. Currently I am using Blending Pearl (Black) from Breena Beauty. It is "Made in Malaysia" and the quality is GOOOD!!! Okay. 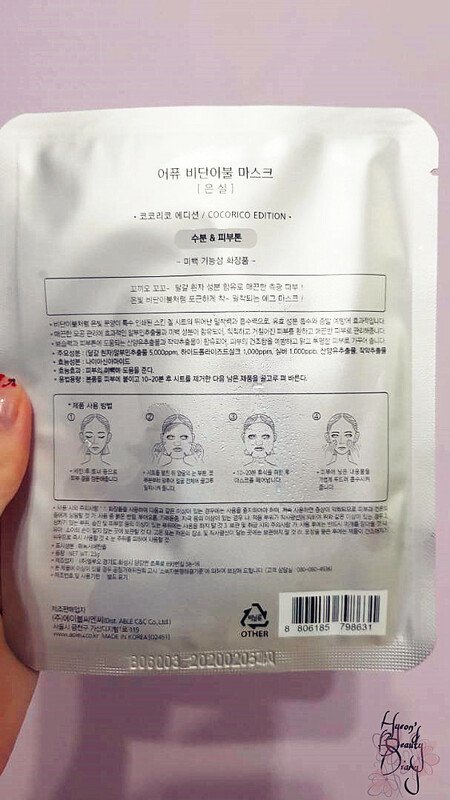 From the photo above it might be unclear, but in fact the blemishes are not entirely concealed after application. However, at least they are less obvious to see/spot from a distance. 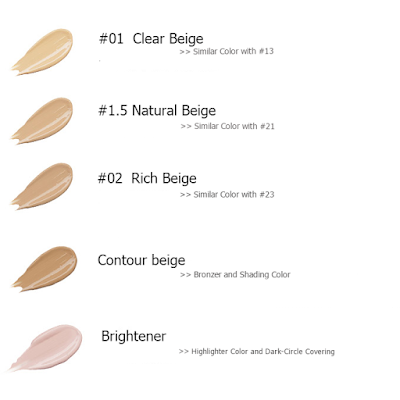 I am not a makeup professional, but what I understand is that different type of concealer offers different level of coverage. 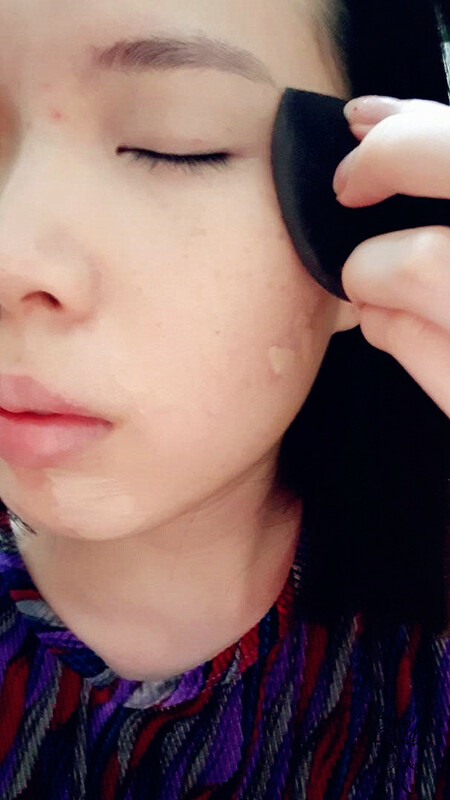 For instance, if you have an open acne scar, perhaps you might consider pot concealer/stick concealer. Here I am going to do a short demonstration. 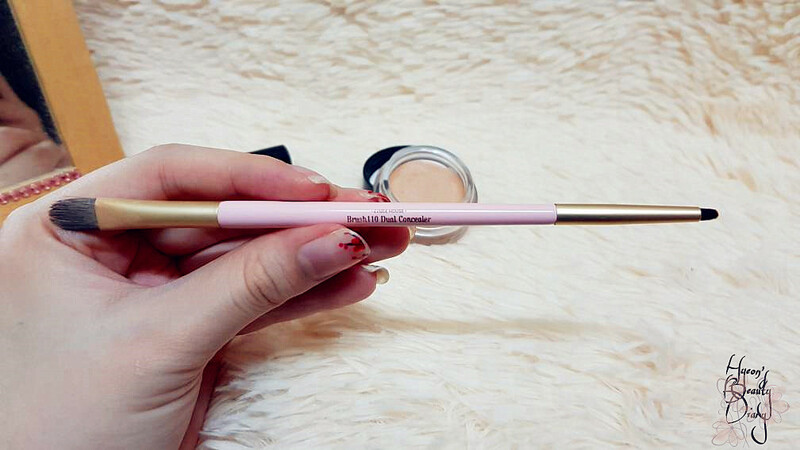 Currently my only concealer brush is Brush110 Dual Concealer from Etude House. I have no complain on this as it is fairly affordable and it does the job. 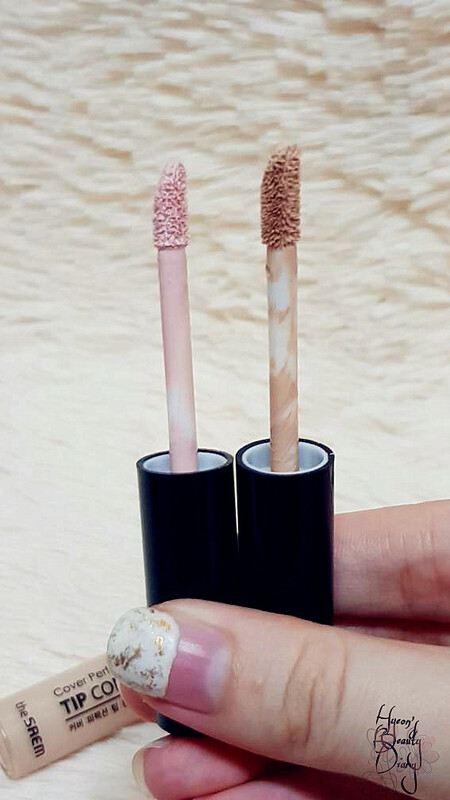 To use, get some of the product using the flat concealer brush by directly dipping it into the pot concealer (as below). 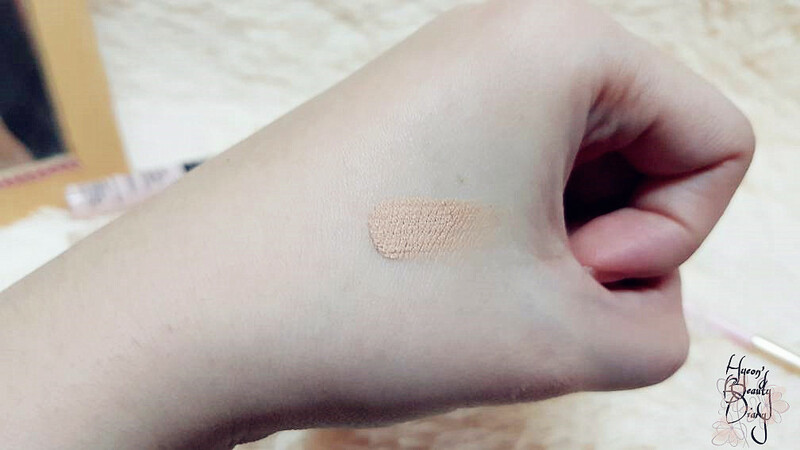 Do your first swatch on your hand to get rid of excess. You DO NOT want to see thick concealer patches everywhere on your face (heh). 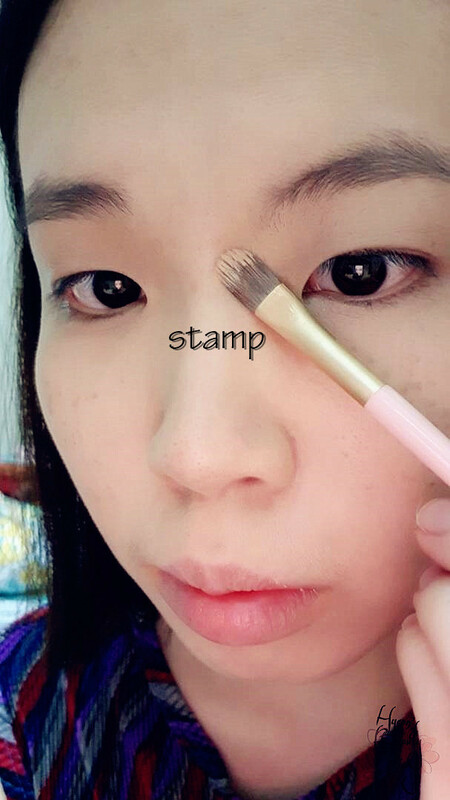 With little product on the concealer brush, stamp it on specific spots which need extra touch (as below). Use the same concealer brush and work on/blend the edges, leave the middle part - until it is completely blended into your entire face makeup. I am not gonna lie. I am still figuring out how to use this Tip Brightener. 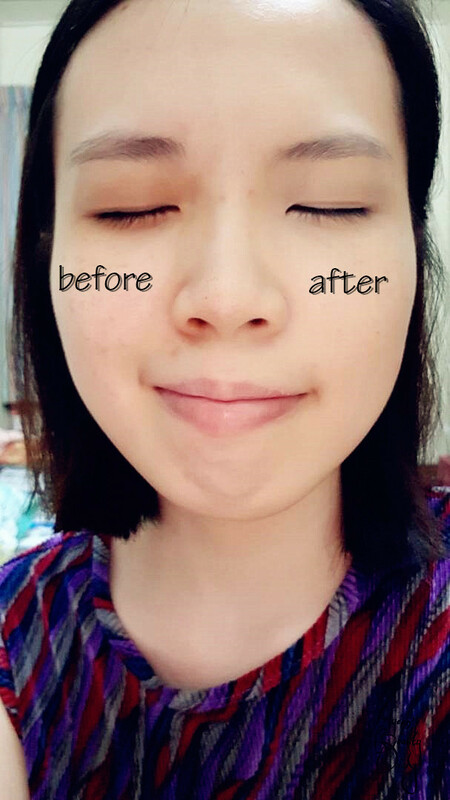 For highlighter, I would much prefer a more liquid and light texture to create the most natural aura. Anyway. 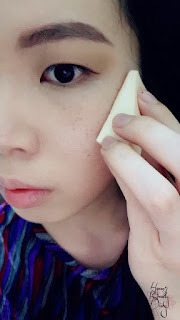 Herein I am using Edge Makeup Sponge from Holika Holika. Edge makeup sponges are easier to create the diagonal trace, across from apple cheeks to nose sides. 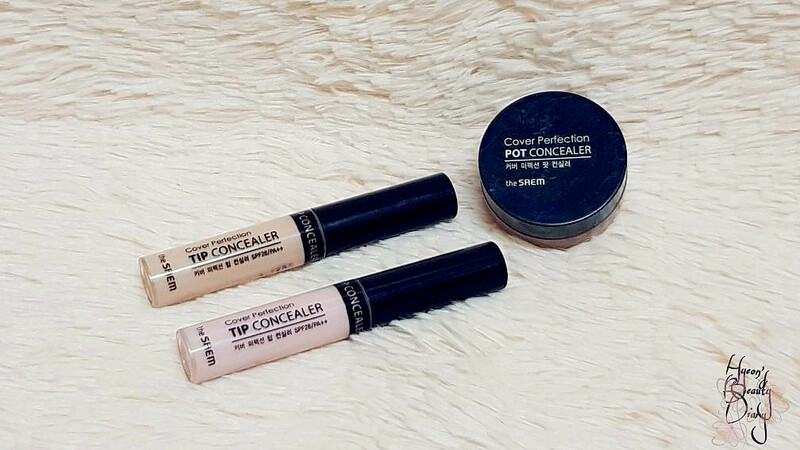 Personal ranking for the above products are: liquid concealer > pot concealer > brightener. The liquid concealer is an absolute HIT! 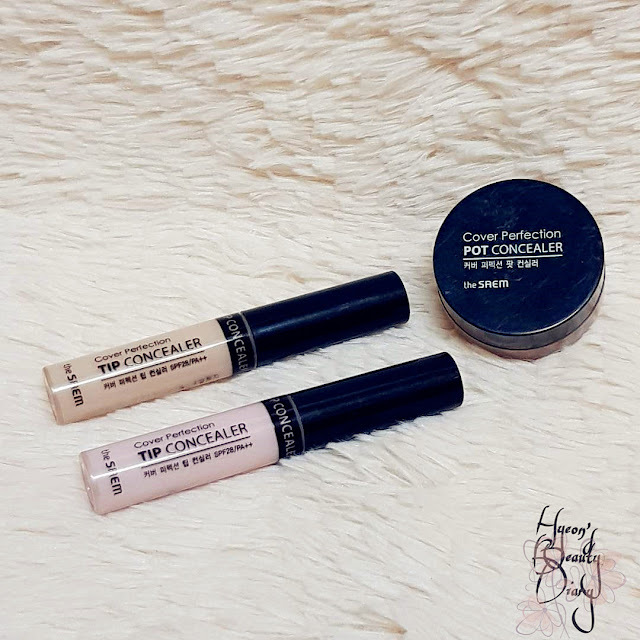 If you are a makeup beginner (like me), do do do try out this amazing road shop liquid concealer. The result is absolutely promising! 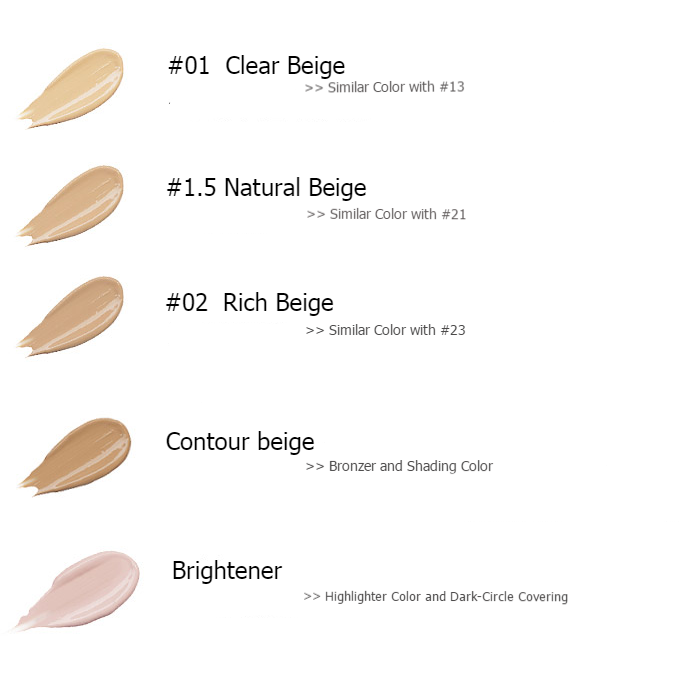 For the Cover Perfection Tip Concealer series, there are 5 shades available at the moment: 01 Clear Beige, 1.5 Natural Beige, 02 Rich Beige, Contour Beige and Brightener. 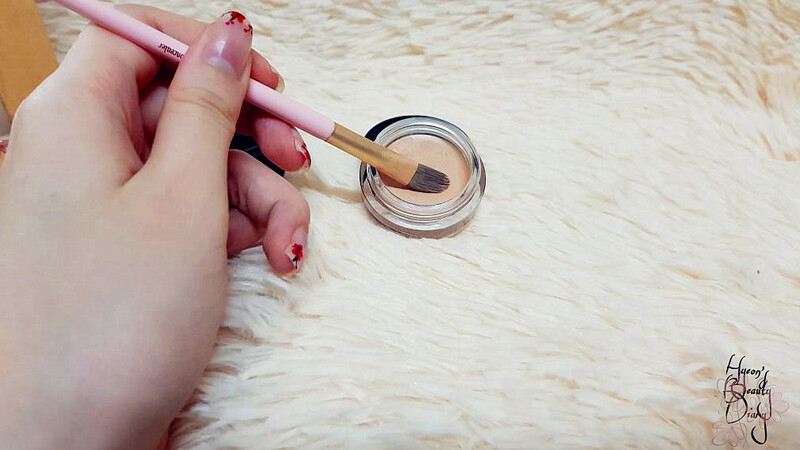 In fact, I don't use pot concealer often unless for photo-shooting purpose. There are a looong way to hit the pan. 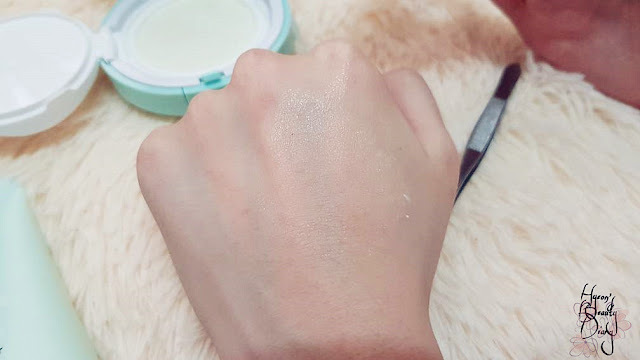 (><''') It requires a little bit more technique in using pot concealer. 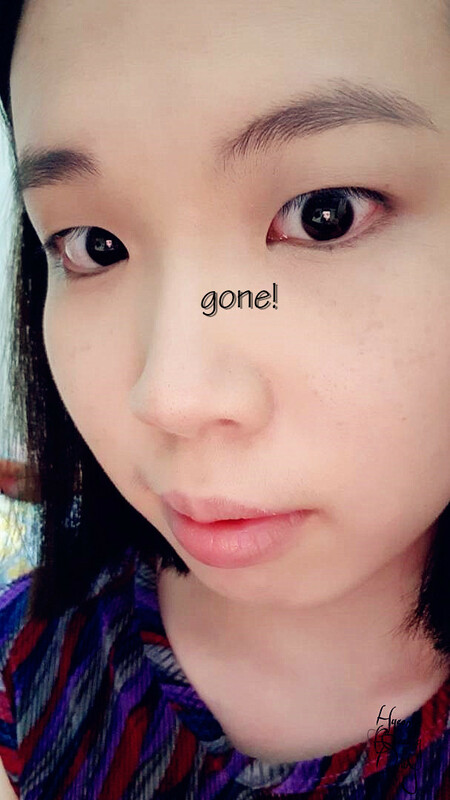 It's either a big hit, or a miss (obvious patches everywhere, failed to blend in with the face makeup). 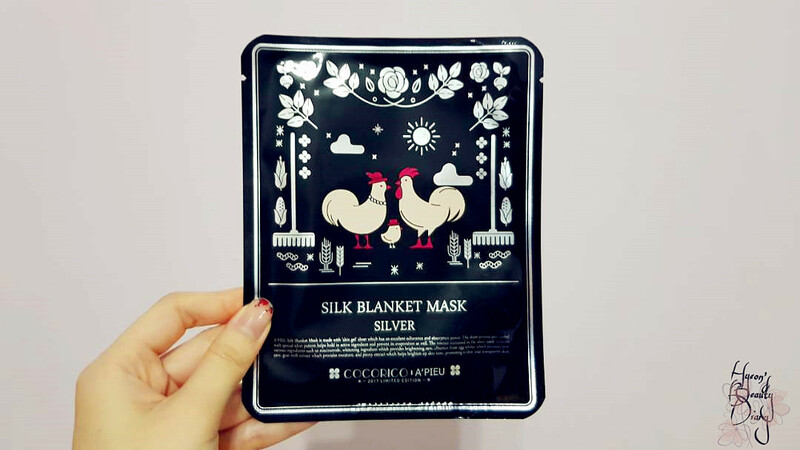 These products are available across many online beauty stores, including Althea and Hermo. 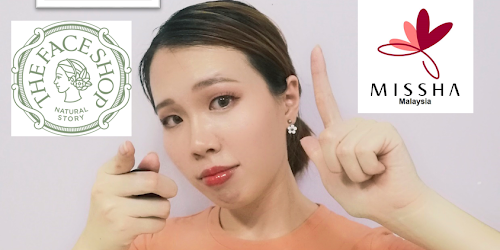 Recommend: For makeup beginners. 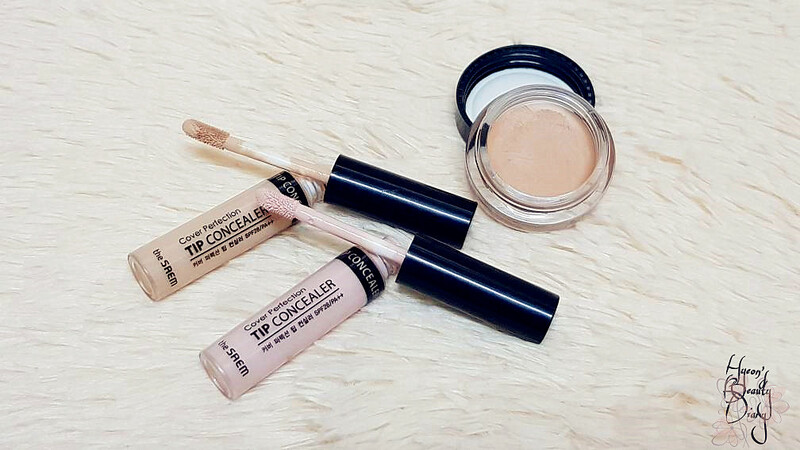 Must try the liquid concealer. 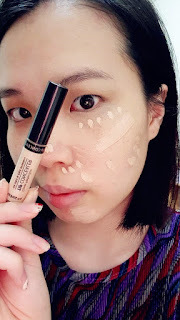 Repurchase: Been repurchasing the liquid concealer and most likely will in the future. 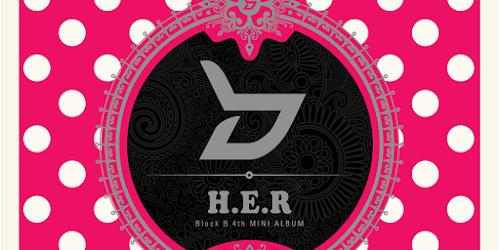 Let us rewind the time to early February this year. Finally I decided to do my first-in-a-lifetime gel manicure to celebrate upcoming Chinese New Year! 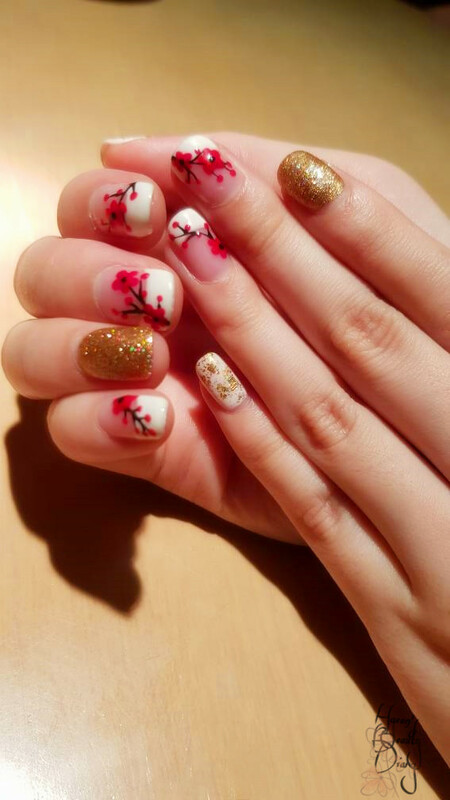 I didn't go to manicure shop or salon, but instead I have a colleague whom she acquired the skill and she offers the service. 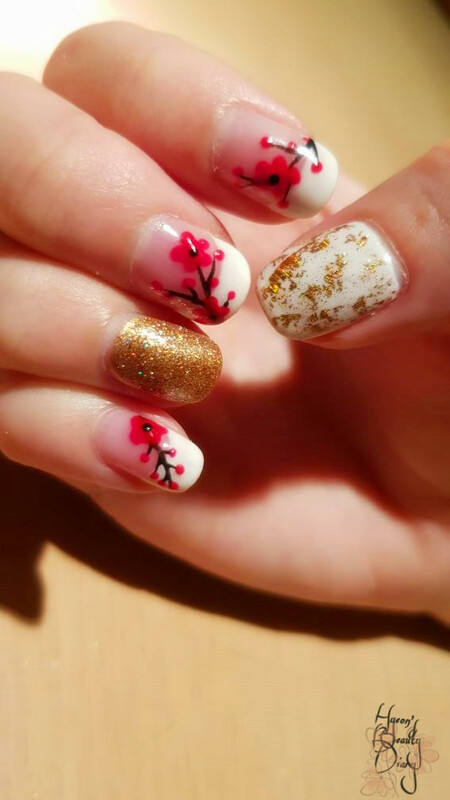 It didn't took much time until I settled with these blossom nail art in French manicure-style (my favourites!!!). The sample I shown to her was the photo below, and she worked miracles! Gel manicure is popular nowadays because it is long-lasting than usual nail polish. You can get it removed by professionals because it needs special chemical. 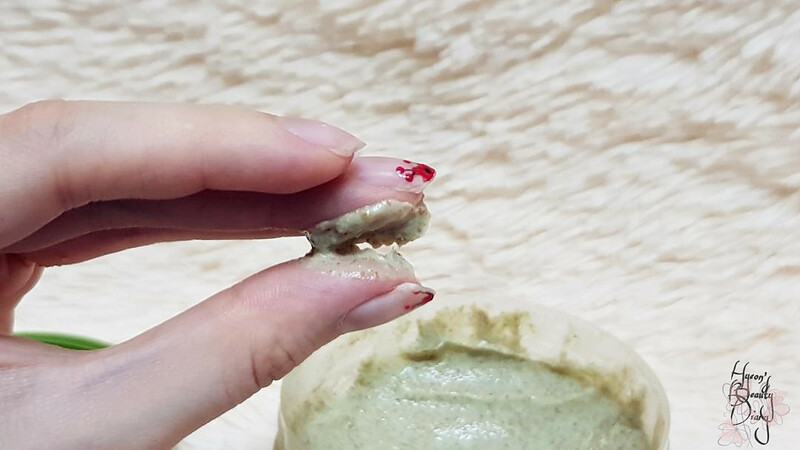 You can't get it removed by using the usual nail polish remover (that's impossible). Best part? 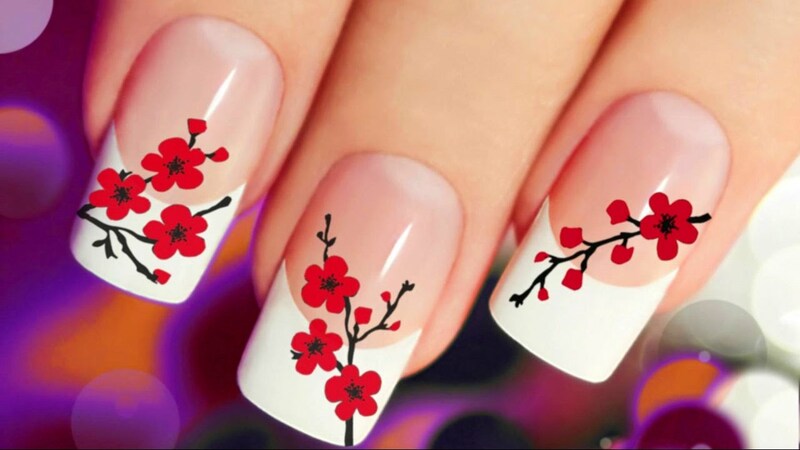 This customized gel manicure is available at affordable price!!! Mine was RM75. 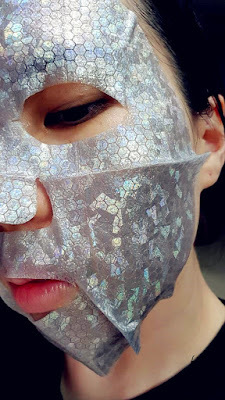 ...and ultimately promoting a clear and transparent skin. 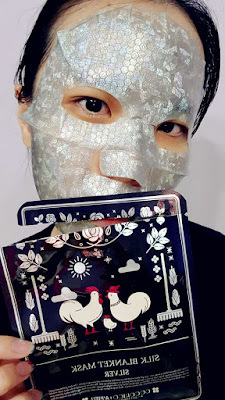 WOW, I was shocked upon noticing the shining effect from the foil mask!!! Didn't see that coming. There is this artificial scent to it, but very subtle. My first impression went from "WHOAAAAA" to "whoa". 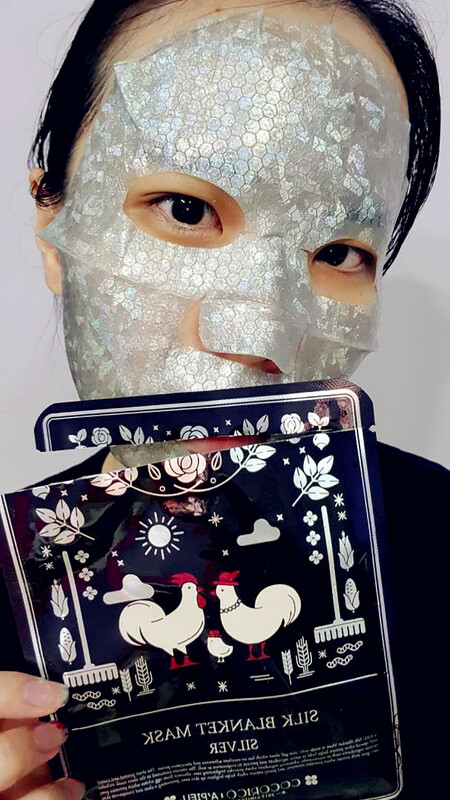 I was sooo excited when I see the bling, but just because of it, the texture of the entire sheet mask is rough and rigid (not-stretchable). After 20 minutes when I removed the sheet mask, my skin does feel hydrated, just not those intensive hydrating type (if you know what im sayin). Hit or Miss? I would say it was a miss. In fact, I bought this sheet mask on Althea (I don't think it is available as I am writing this). Today I wish to share with you my current body scrub from The Body Shop. 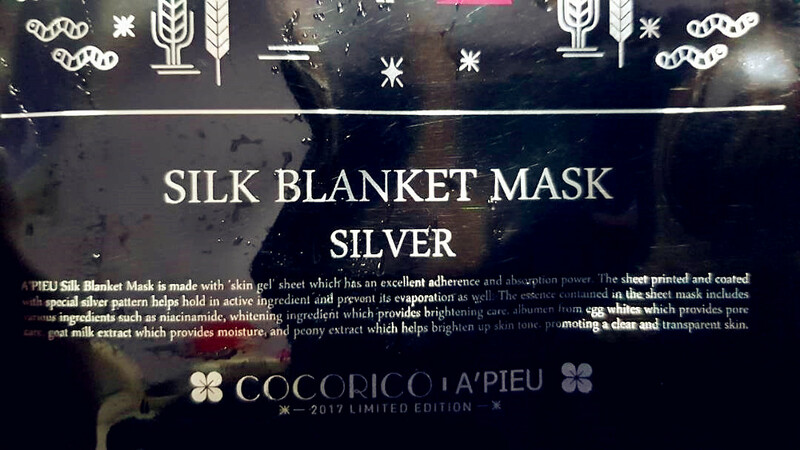 You may noticed the one I am currently using is not the latest packaging. What is important is the goodness inside is remains the same! 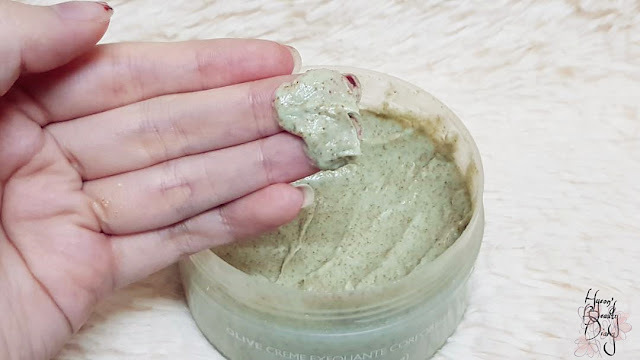 Frankly, I don't do body scrub on a consistent basis. I only do whenever it is needed; for instance, when I find my skin is dry and dead skin is overlapping. This product is mainly made of organic olive oil, the "liquid gold" of the Mediterranean, has been used for thousands of years in cosmetics, cooking and as an offering to the gods (source: The Body Shop). 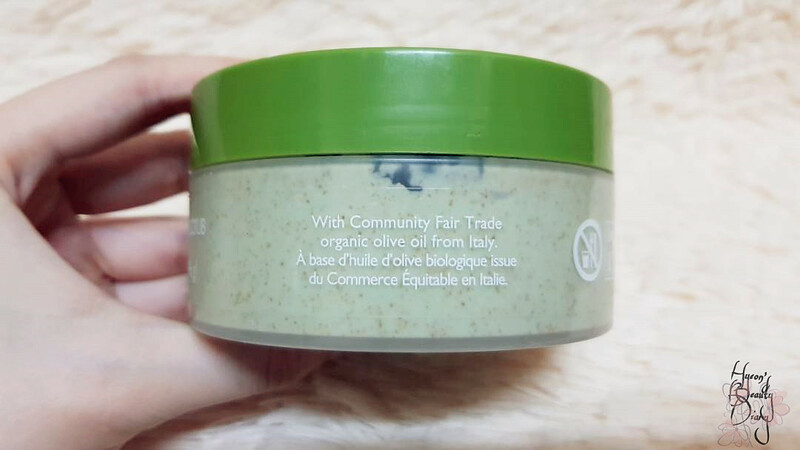 One thing I adore about The Body Shop is that they made their ingredient list easily accessible. 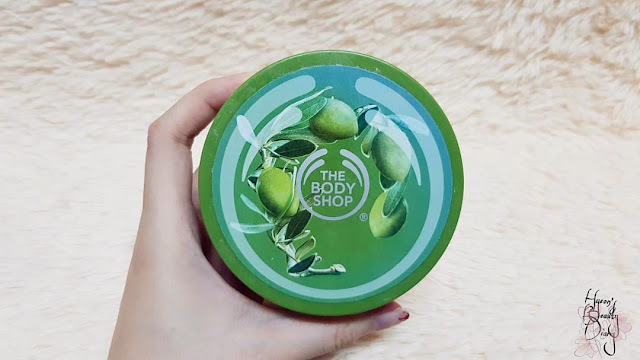 Particularly, The Body Shop is famously known for against animal testing. 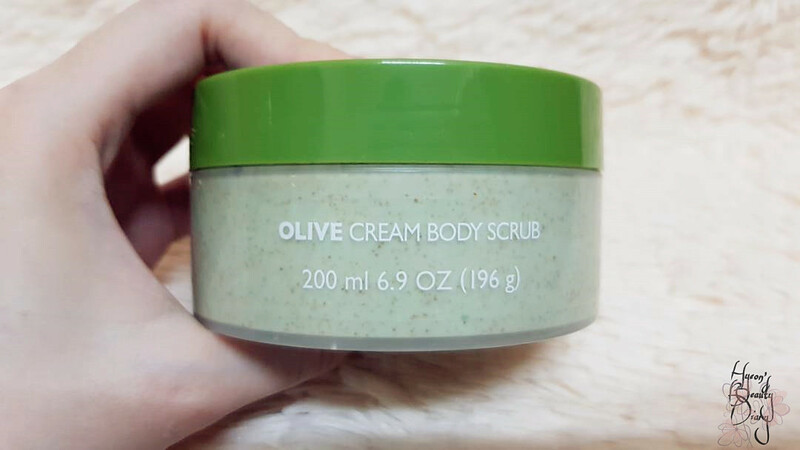 What I love about this body scrub is its buttery, smooth and non-drying texture. 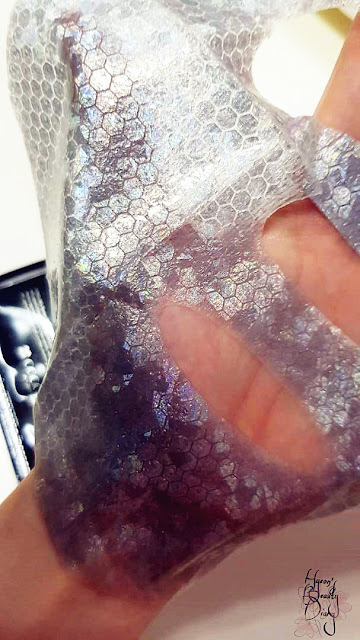 Now I am going to show you the texture on the back of my hand. 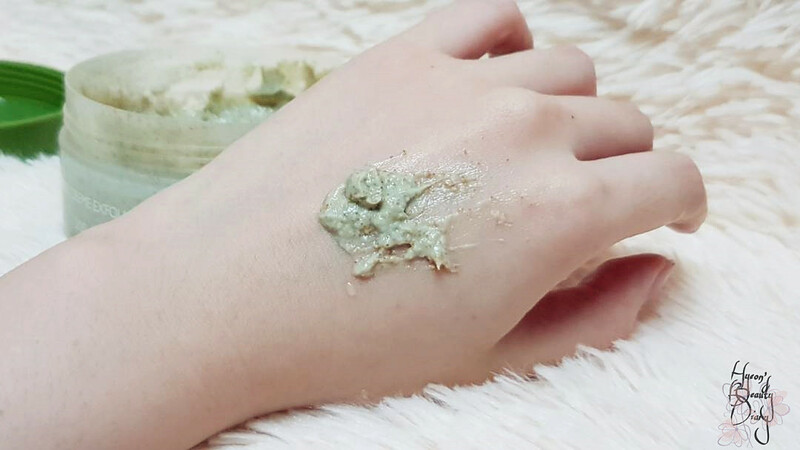 Instead of apply to damp skin, I am directly applying it on my skin. In circular motion, massage it thoroughly and watch the body butter melts. 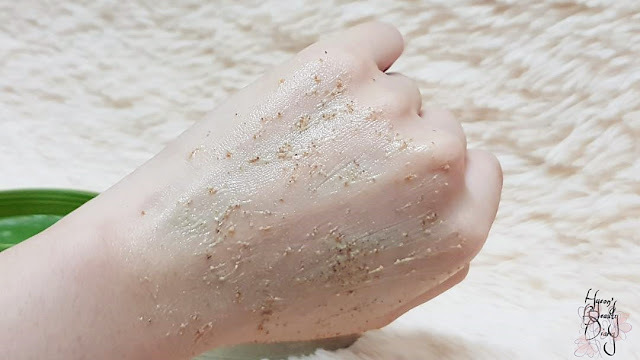 The exfoliant they used here is Oryza sativa (Rice). Look at these tiny brownish particles (as below). 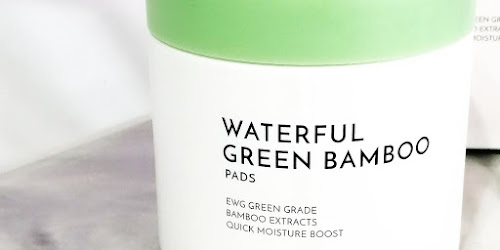 Both the buttery formulation and gritty exfoliant perfectly compliment each other. 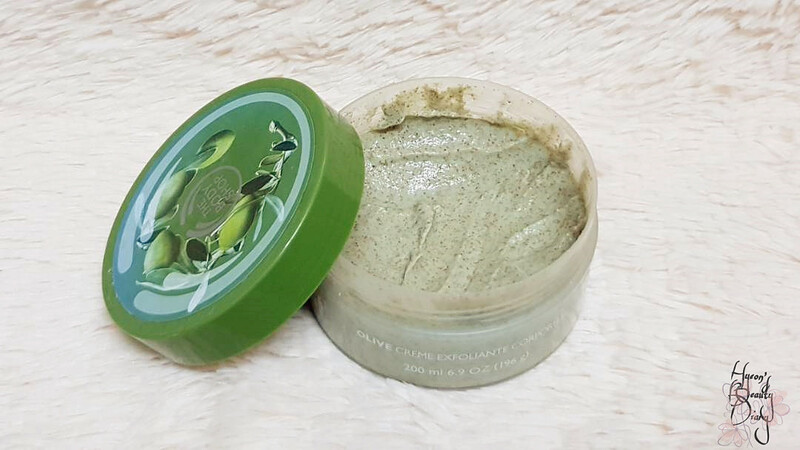 It does the job (exfoliation) yet gentle on the skin. 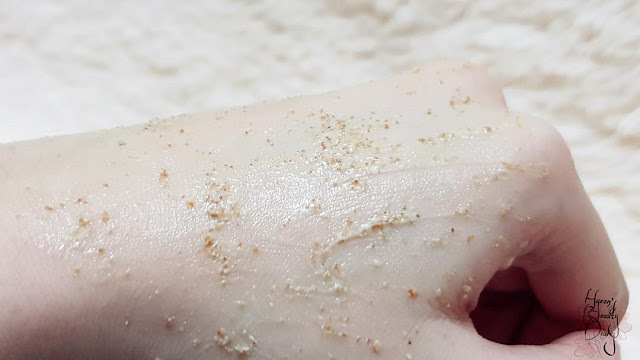 The back of my hand looks smoother and brighter after the short treatment! In summation, I will continue to use this body scrub as I think it quite a decent product for mild exfoliation (not for stubborn dead skin exfoliation, i.e. dead skin under your feet). Until and unless I found a substitution. 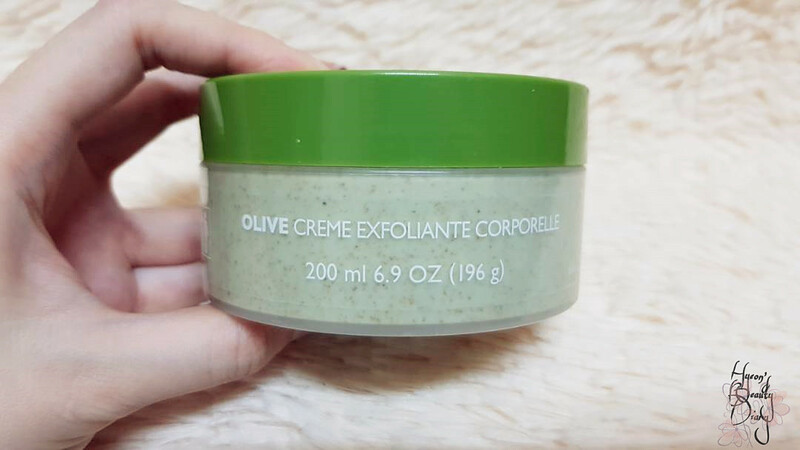 Repurchase: Perhaps no as I don't use body scrub that often.